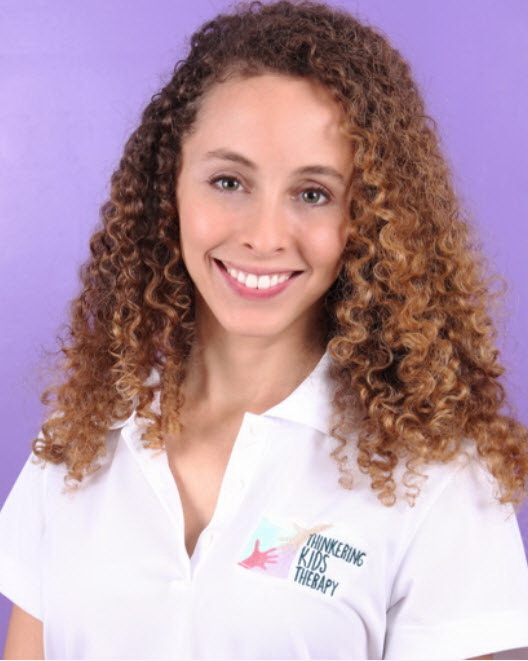 Natalia Sarabia has a Bachelor’s of Arts in Psychology and a Master’s of Science in Occupational Therapy from Florida International University. Since very young, she has been interested in child development. During her undergraduate career, she enjoyed working as an after school teacher and volunteering in children’s hospitals. As a graduate student, she interned at Nicklaus Children’s Hospital Early Steps Program, PATCHES (Prescribed Pediatric Extended Care Unit) and the Miami-Dade County Public Schools. She graduated with honors as a POPS (Preparing Occupational Therapists for School-Based Practice) scholar and she has been working as a pediatric occupational therapist since her graduation. Natalia is very dedicated to her continuing education, she has extensive training in the DIR® Floortime model, Handwriting Without Tears (HWT), Integrated Listening Systems (ILS) and the SOS Approach for Feeding. She is currently completing her Sensory Integration Certificate Program at University of Southern California. Natalia enjoys working with children of all ages and helping others achieve their goals and reach their fullest potential.